ROHM’s exciting new co-production with LA Opera of Giuseppe Verdi’s La Traviata is staged by Marta Domingo in a dazzling new version with dynamic new choreography from the Antonio Gades Company. With a profusion of memorable arias this profoundly moving love story of Violetta, a beautiful society courtesan, and Alfredo, a dashing aristocrat, tops the charts as the world’s most frequently performed opera. Verdi’s magnificent music features arias which have become immensely popular outside the domain of opera, especially the rousing Brindisi Song with its famous declaration, Libiamo ne’ lieti calici (Let’s drink from joyful cups) and Violetta’s soaring ode to freedom, Sempra Libera. As the music propels the action like the great unseen Verdi force that it is, there is never a dull moment in this compelling and deeply poignant opera. ROHM audiences are bound to be thrilled as they experience the world’s best-loved opera in a new production from the Royal Opera House Muscat in cooperation with LA Opera, an institution that was established just a little over three decades ago, and which, under the leadership of Plácido Domingo, has become one of the most important opera houses in the United States. On February 7th and 9th, the great Plácido Domingo will sing Alfredo’s father, Germont, while Domingo Hindoyan conducts the Orchestra and Chorus of Teatro Massimo di Palermo. On February 10th, Maestro Plácido Domingo will conduct the orchestra while Simone Piazzola sings Germont. Two award-winning international stars, Russian soprano Kristina Mkhitaryan and Mexican tenor Arturo Chacón-Cruz sing Violetta and Alfredo. 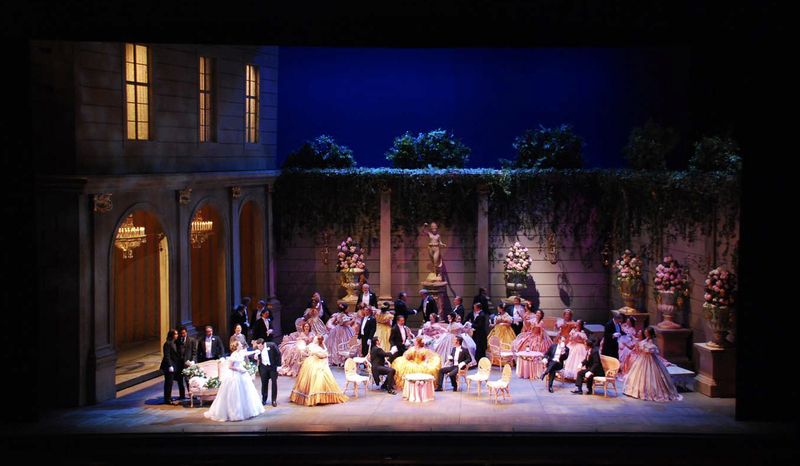 La Traviata will be presented on Thursday, 7th, Saturday, 9th and Sunday 10th February at 7:00 pm. An informative pre-performance talk that will enhance patrons’ experience of the opera will be held in the Maidan Hall on the second floor of the ROHM building one hour before the performance. Admission to this talk is restricted to ticket holders.